We love that you are interested in hiring the right tree service company. 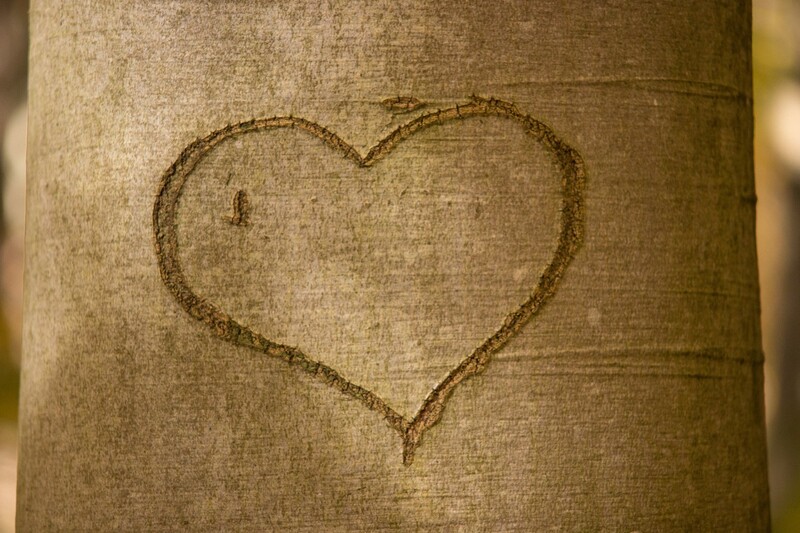 ♥ Our alternate name was “The Ultimate Guide to Choosing an Arborist with Confidence.” Catchy, right? Regardless, the fact that you’re here with us means that you care (and so do we). We care about the health of your trees, the value of your property, and the safety of your surroundings. We care about doing the right thing. How do we love trees? Let us count the ways. Trees are beautiful and many trees in the Carolinas have significant historical importance. Trees are healthy. They reduce noise and air pollution and protect soil and water. Trees are functional. They increase your comfort and decrease your heating and cooling costs by blocking solar energy on hot days and radiant heat loss during cool evenings. And tree care is a wise investment. According to the USDA Forest Service, studies have shown that real estate agents and home buyers assign between 10% and 23% of the value of a residence to the trees on the property. When you consider the median value of a home in North Carolina of $166,000*, it’s likely that trees on a typical property are worth anywhere from $16,600 to $38,000. And that’s just talking about residential properties. Imagine the value of the trees on the commercial properties! It’s value we all want to protect. So, let’s get started with tips and tricks to selecting the right tree service company for you. Download this guide as a PDF! If you take only one tip from this guide, this would be it: make sure your tree service company is accredited by the Tree Care Industry Association. This is a third-party consumer confidence verification program that helps consumers identify qualified tree service companies who conduct business in a safe, legal, and ethical manner. TCIA accreditation provides an external benchmark that you’re doing business with the right team. Is your firm TCIA accredited? If not, why not? Has an external party conducted an on-site audit of your company? Have you evaluated your OSHA, DOT, and HazMat compliance programs? How may I be assured that they’re in compliance with industry standards? If you’re anything like us, you have one neighbor who loves his (or her) chainsaw and is eager to help you trim, or better yet, remove your trees. If you proceed, do so with extreme caution! 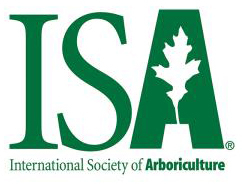 What’s more, ISA Certified Arborists adhere to a code of ethics that further strengthens their credibility and reliability. For those of you who are sticklers for detail, the ISA certification is accredited by the American National Standards Institute, meeting and exceeding ISO 17024. Is your tree care team led by an ISA certified arborist? How recent are your arborists’ certifications? 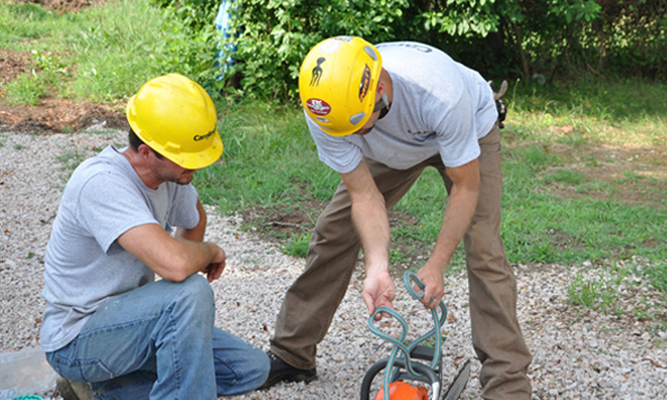 How often do your arborists acquire continuing education units (CEUs)? Prior to providing you with a written estimate, a professional tree service company will always consult with you and conduct a thorough analysis—not just of the health and wellbeing of the trees on your property but also of your immediate needs and long-term vision. By asking the right questions and paying close attention to your responses, arborists can understand what you’re trying to achieve and then educate you on the pros and cons of available options. To ensure clarity and mutual understanding, a professional arborist will explain every detail of the proposed solution and give you a chance to ask questions. A written estimate, typically sent via email, will recap that discussion. One piece of advice: you may want to take pictures of your property before the crews arrive to complete the work. No matter how reputable the firm you select is, contingency planning is never a bad idea. How will you approach this job? How long will this job take? How do you plan to get equipment into position without damaging my property? What is your policy if you damage anything on my property? Does your crew clean-up after the job? Did you know that North and South Carolina are primarily in USDA plant hardiness zones 7–8? This means that certain types of trees, like the Red Maple or Korean Boxwood, are most likely to thrive in this area based on how cold it’s expected to get each winter. Yet the Carolinas are large. What trees fare well on the Atlantic coast in zone 9 may be quite different than those that thrive in the inland, mountainous regions of zones 5 and 6. Many other factors also influence how well any given tree will perform on your property including soil composition, root health, the presence of borers and wood-eating insects, and tree diseases, blights and deadly wilts. You may want to start by having a certified arborist conduct an inventory of your trees. How many trees do you have and where are they located on your property? Are they enhancing your landscape and valuable to you? Are they healthy? If not, are they worth saving? 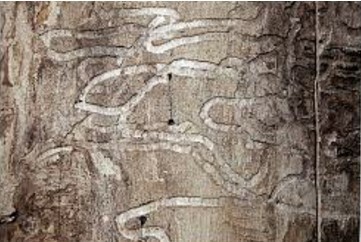 From emerald ash borers to cankerworms and more, an arborist will understand the plant health factors specific to your area and inspect your trees for signs of stress, decay or deterioration. How often should I have you inspect my trees and why? Do you routinely conduct root collar inspections? How would a tree inventory benefit me? What signs of tree diseases have you seen in this area? Do you see these diseases escalating or declining? What signs would the leaves on my trees exhibit if there was an infestation? How often do you recommend tree injections to your customers? Which do you typically perform and why? 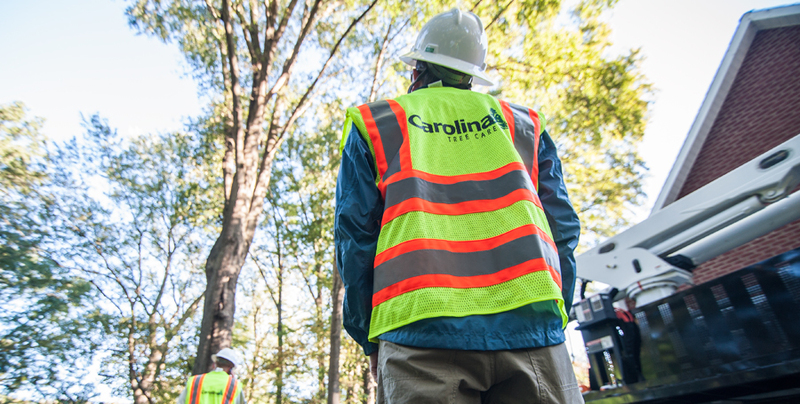 Here at Carolina Tree Care, we’re not big fans of fear-based marketing; however, we would be careless not to at least mention that caring for trees is a dangerous occupation. When you combine extreme heights, chain saws, unstable tree limbs, utility lines, and outdoor working conditions, (think: wind, heat, rain, soggy soil) it’s no wonder that tree care is one of the most dangerous industries in our country. The good news is, with proper safety procedures and training, (note: we’ll get to those in a minute) and the right types/level of insurance in place, you don’t need to worry. If you’re dealing with a TCIA-certified company and/or ISA-certified arborists, the associations have already done a lot of the leg work for you. North Carolina law requires that all businesses which regularly employ 3+ employees obtain workers’ compensation insurance or qualify as self-insured. In South Carolina, it’s 4+ employees but, in both states, there may be exceptions. To be safe, always ask for insurance documentation and feel free to call the insurance provider to ensure the policies have not expired. Without insurance, as we’re sure you know, you will be on the hook. And you don’t want that. Does your insurance have a working height clause? To what height are you covered? Will you be performing work in higher conditions on my property? Are you willing to share your Certificate of Insurance with me? Dangerous tree work brings anxiety. Homeowners worry about their houses, fences, kids, and pets. Commercial property owners and managers are concerned about their buildings, tenants, pedestrians, and nearby vehicles. 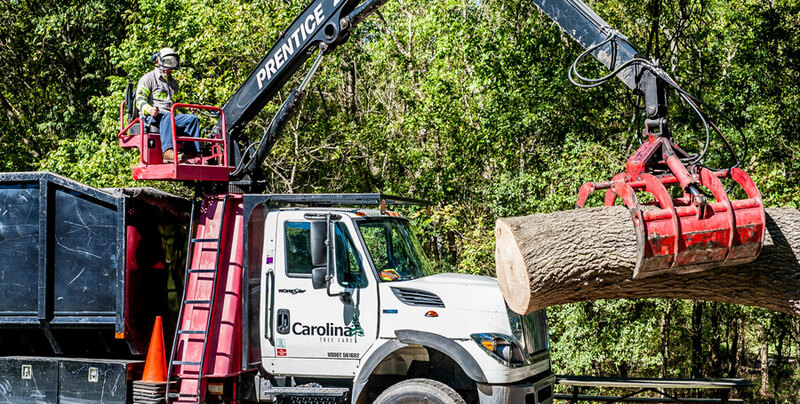 A professional tree service company will proactively share with you how they plan to mitigate all hazards, ensure safety and get the job done properly. To have the greatest possible safety assurance, you should always hire TCIA Certified Tree Care Safety Professionals (CTSPs). The TCIA offers the only safety credentialing program in the industry that is designed to address the specific safety challenges that tree service companies face. CTSPs are trained in safety leadership as well as incident and hazard control and prevention—providing you with the highest degree of confidence possible. Keep in mind, tree safety continues long after a crew has left your property. By hiring a CTSP, you will have greater confidence that your property is maintained as effectively as possible to withstand all weather conditions. Do you have TCIA Certified Tree Care Safety Professionals on staff? 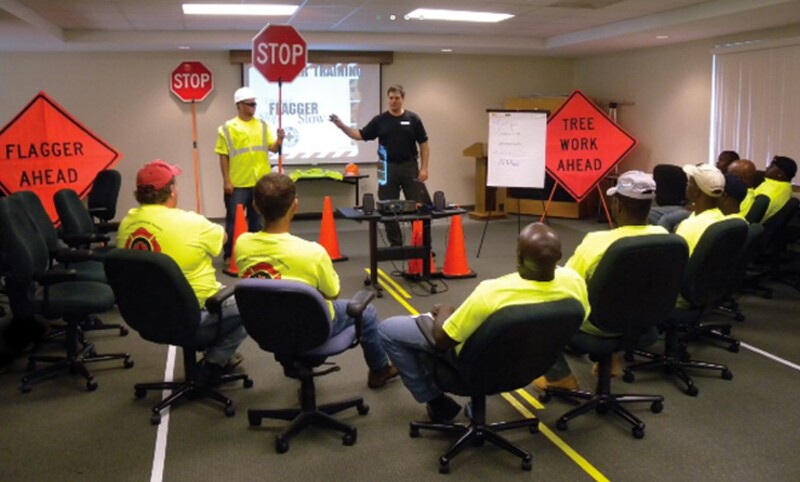 How many hours of safety training does each team member receive each year? Have you had any OSHA or DOT violations in the past few years? Are your employees subject to background checks? Are your employees subject to pre -employment and random drug testing? Did you know that you should never operate a chainsaw one-handed? Or use a chipper while wearing a full-body harness? Well, you don’t actually need to know these rules but your tree care professionals do. To remain at the forefront of the industry, companies must provide formalized training throughout the year to educate and reinforce the critical concepts of tree care and safety. For most crews, this is a combination of continuing education credits, in-field/hands-on training and offsite classroom-oriented coursework. Do you have formalized training practices and procedures? How do you ensure your employees are adequately trained and qualified? What type of training do you provide to new employees? What ongoing training do you provide to seasoned employees? On average, how many hours of training per year do your employees receive? Is this recorded and tracked? Are your training records available for review? Plant Amnesty is an organization that has a stated mission to “end the senseless torture and mutilation of trees and shrubs due to mal-pruning.” Their site features a series of bad pruning photos with names such as “bad hair day,” “lollipop maple,” and “returning to the mother ship.” While the pics are pretty funny, the reality isn’t. Improper trimming and pruning can cause real and lasting harm to your trees. 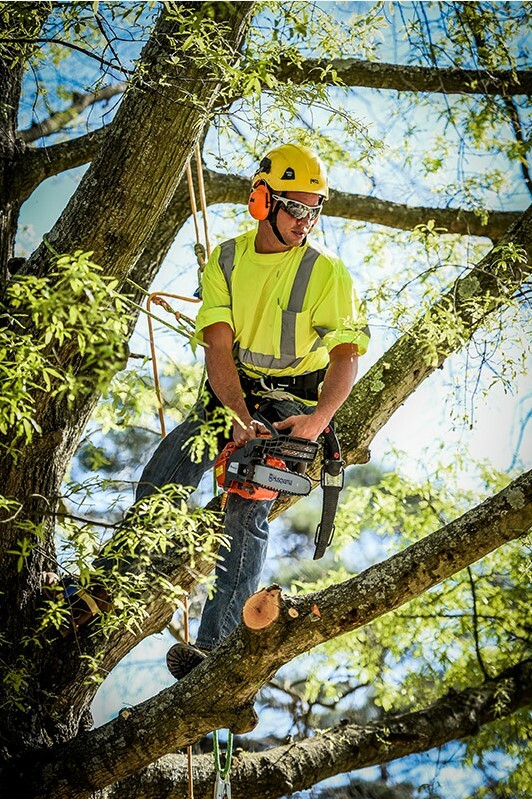 A common technique in the tree service industry is a practice called tree topping which reduces the size of a tree typically by removing the leaf-bearing crown. As we all learned in grade school, leaves are pretty important for photosynthesis. Without adequate leaf coverage, trees lose their food supply which weakens them. Continued topping can ultimately kill otherwise healthy trees—leading to costly removals. Please note: damage to trees is not always as dramatic as tree topping. Improper cuts made by an unskilled crew, or spikes worn by tree climbers, can lead to wounds that don’t heal. When exposed, pests and diseases can enter the tree and cause costly damage. Do you perform tree topping services? Where is the healthiest place to prune a tree (or make a cut)? Do your climbers wear spikes? When and why? In our neighborhood, there is a man who drives around in a beat-up pickup truck taking discarded metal from homeowners’ trash bins in order to cash in at the scrap yard. He’s making a few bucks while recycling. A win: win. But here’s the catch: he operates at night. Most property owners and managers, especially those like you who are interested in maximizing the value of their properties, want to maintain a professional appearance at all times—and that includes the vehicles, equipment and workers performing services at your sites. Not that you should expect your tree care crew to arrive in a limo wearing three-piece suits. But you should expect them to be a positive reflection of your image—especially when working in public sites where visible to the general community. How often do you invest in new equipment? What’s the average age of your fleet? How often do you perform preventative maintenance? Is there a formalized schedule? Have you ever heard someone say, “if it’s legal, it’s ethical”? We dare you to point that person to the subprime mortgage crisis. Conversely, have you ever driven five miles over the speed limit? No, of course not! The fact is what’s acceptable behavior for one person may not be acceptable to another. Ethics is a gray area. For this very reason, we highly recommend hiring a tree service company that employs a sound, well-articulated, professional code of ethics. Like many other industries, adherence to ethics in the tree care industry goes beyond legal and regulatory compliance and acceptable arboricultural practices. A company that hires and trains employees based on a high integrity, shared values system is more likely to proactively guide the attitudes, beliefs, language, and behaviors of their crew members and, in turn, minimize misconduct. 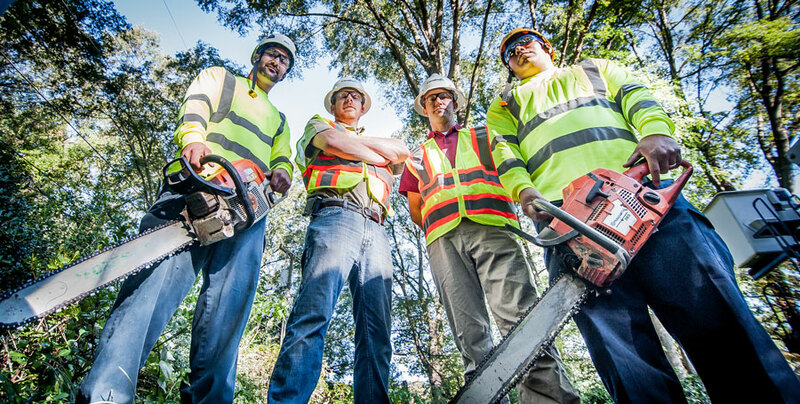 From well-documented estimates and thorough explanations of the work to be conducted—to fully delivering on its promises—the ability to trust your tree service company is critical. This includes a culture of speaking up and correcting incorrect behaviors. What a company says and does defines who they are—forever. 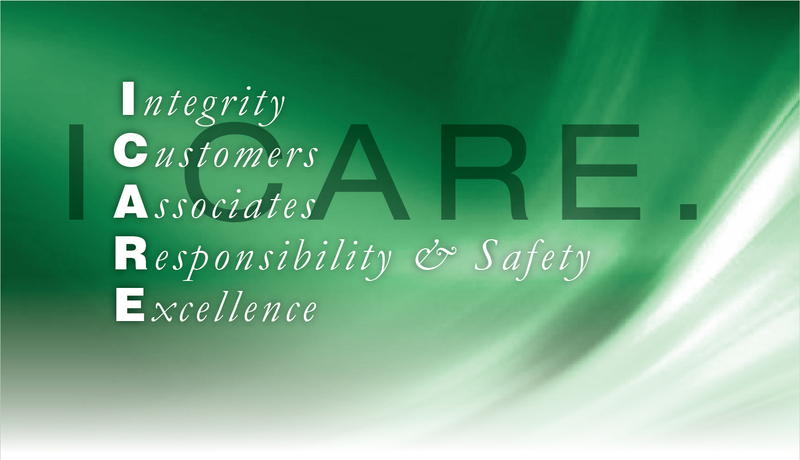 What are the core values that guide your company? Do you have a documented code of ethics? How does your company handle ethics violations? Carolina Tree Care Gives Back! Don’t Just Take Their Word for It! We love a “top 10” list that goes to eleven! What we don’t love: being persuaded by a salesperson to give him/her a high rating on a satisfaction survey. Thankfully, this is rarely a practice in the tree service industry. Many of the top service providers have an outpouring of non-solicited references—folks who gush over their performance without being prompted to do so. Oftentimes these testimonies are posted on a company’s website. However, some of the smaller firms may not have websites or the bandwidth to update their sites frequently. Don’t let that get in the way. We highly recommend actively reaching out to your friends, family and extended network for advice. Check company reviews on Yelp, Google, Angie’s List, etc. Take to social media and ask for input. Place a post on a neighborhood app like Nextdoor. People are always happy to share the good, bad and ugly with you. Most importantly, conduct reference checks. Don’t be afraid to ask probing questions. You and your property deserve the best! May I contact any of your customers for a reference (vs. a hand-selected list that you provide)? How did you hear about this firm? What services did they provide to you? How long ago were services performed? What could they have done differently to better meet your needs? What other firms were you considering? On a scale of 1–10, how satisfied are you with the service provided?